KUWAIT, Dec 11 (KUNA) -- His Highness the Amir Sheikh Sabah Al-Ahmad Al-Jaber Al-Sabah received Monday at Sief Palace His Highness the Prime Minister Sheikh Jaber Al-Mubarak Al-Hamad Al-Sabah. During the reception, His Highness the Premier presented the new formation of the State of Kuwait Cabinet as follows: 1- Sheikh Nasser Sabah Al-Ahmad Al-Sabah, First Deputy Prime Minister and Minister of Defense. 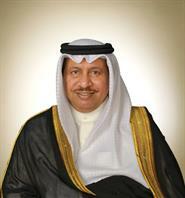 2- Sheikh Sabah Khaled Al-Hamad Al-Sabah, Deputy Prime Minister and Minister of Foreign Affairs. 3- Sheikh Khaled Al-Jarrah Al-Sabah, Deputy Prime Minister and Minister of Interior. 4- Anas Khaled Al-Saleh, Deputy Prime Minister and Minister of State for Cabinet Affairs. 5- Nayef Falah Al-Hajraf, Minister of Finance. 6- Hind Sabeeh Barrak Al-Sabeeh, Minister of Social Affairs and Labor, as well as Minister of State for Economic Affairs. 7- Khaled Nasser Al-Roudhan, Minister of Commerce and Industry and Minister of State for Youth Affairs. 8- Mohammad Nasser Al-Jabri, Minister of Information. 9- Dr. Bassel Humoud Hamad Al-Sabah, Minister of Health. 10- Bakheet Shibeeb Al-Rasheedi, Minister of Oil and Minister of Electricity and Water. 11- Jinan Mohsin Ramadan, Minister of State for Housing Affairs and Minister of State for Services' Affairs. 12- Hamid Mohammad Al-Azmi, Minister of Education and Minister of Higher Education. 13- Hussam Abdullah Al-Roumi, Minister of Public Works and Minister of State for Municipal Affairs. 14- Adel Musaed Al-Kharafi, Minister of State for National Assembly Affairs. 15- Fahad Mohamad Al-Afasi, Minister of Justice and Minister of Awqaf and Islamic Affairs.